Our team of wood roofing specialists are experts in troubleshooting and repairing wood roof installations. The extensive knowledge and experience that our tradesmen bring to the table allows us to execute repairs of the highest quality at competitive costs to our customers. 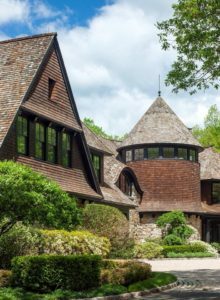 One of the fascinating qualities of a wood roof is that they have the capacity to work effectively long after they appear to be long in the tooth. With a little bit of tender loving care the life expectancy of a wood roof can readily be extended. Please contact us to discuss your wood roof repair needs.